When to see an orthodontist and when to begin orthodontic treatment are especially important question for parents of young children. Adults experiencing jaw pain or other issues that aren’t addressed by their dentist or doctor should also be considering whether or not orthodontic treatment is a good course of action. This helpful guide provides a starting point for how to approach orthodontic treatment for your child and for yourself. The American Association of Orthodontists recommends that children receive their first orthodontic evaluation at age seven. By seven, teeth and jaws are mature enough to provide a clear indication of future development. By starting early, we may be able to get ahead of potential problems. Fixing a misaligned bite early on, for instance, can help avoid potentially damaging and painful problems in the future including speech difficulties, TMJ, facial imbalance or asymmetry. Early orthodontic planning for your child should include everything from correcting bad habits like thumb sucking, catching problems before they have a chance to set in and guiding permanent teeth into their proper position. After the basics are in place, longer term planning will ensure that permanent teeth remain in their desired final position. If you are concerned about your child’s overbite, crowding of their teeth, or permanent teeth that appear to be missing, your first stop should be to a board certified orthodontist like Dr. Brad Edgren. Adults are often hesitant to consider orthodontics. Cost, long-term commitments and appearance during treatment are all concerns. But not all adult orthodontic issues require long, painful, expensive treatments. It is always worth getting the facts and making your decisions based on all available options. Teeth grinding – you may think you are only grinding at night but it is very likely you are grinding during your waking hours and doing serious damage to your teeth and jaw. Snoring – yes, believe it or not, discomfort caused by jaw damage, TMJ, and other orthodontic problems can impact your breathing and make snoring worse. Your bite has shifted – Teeth move over time and small adjustments can often make a big difference. Shifting teeth could be due to normal aging, but could also be a sign of some underlying problem such as periodontal disease or TMD. Be sure to ask all of your questions. Don’t be shy. You can’t become an orthodontics expert and shouldn’t be expected to, but if you feel at ease about your treatment or your child’s, your experience with orthodontics will be much less stressful and anxiety will be reduced. 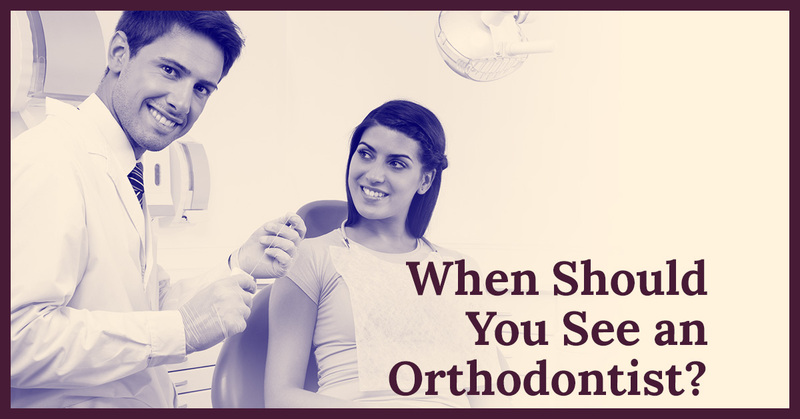 Be sure you and your orthodontist are clear on treatment expectations and outcomes, expected discomfort levels, potential problems or barriers to success, and the pros and cons of all of your treatment options. Whatever stage of life you are at, whatever orthodontic issues you have questions about, Orthodontics Associates of Greeley is here to help. Give us a call to schedule a consultation today.